Inspired by Cars 3, this smoothie bowl has a lightening rod and 95, like the hood of Lightning McQueen! A subtle nod to Toy Story, this broccoli crust pizza has the colors of Buzz Lightyear, and cut into galactic shapes! A smoothie bowl with the Incredibles 2 logo on top to celebrate the new movie! I always love making movie-inspired smoothie bowls, so of course had to make a smoothie bowl that encompasses a classic Pixar symbol: the Luxo ball! And there you have it! 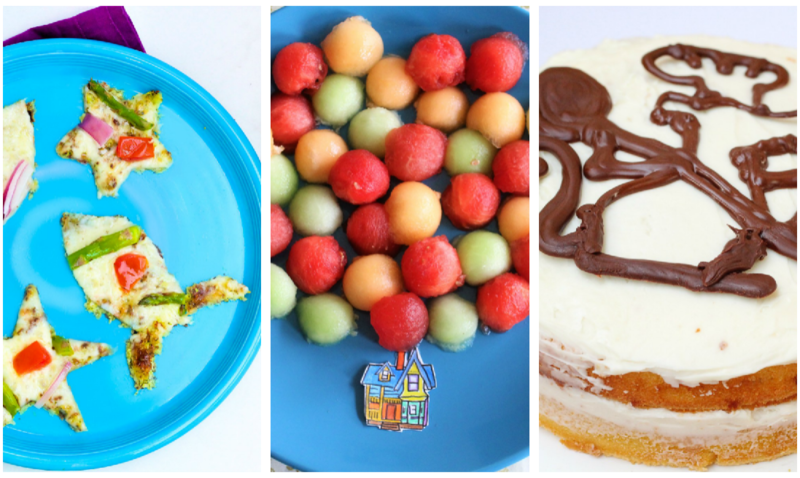 A round-up of my Pixar food art! What Pixar movie would you like to see food art of next?